Stanley Picker Gallery are please to be collaborating with Kingston-based poetry collective Rhythm & Muse on Complex Spaces – a new creative writing project contributing to Kingston Connections: Festival of Stories 2015 and inspired by Streetscape, a Gallery-based and offsite installation of prototype street furniture and film, by Stanley Picker Fellow in Design, Fabien Cappello. Activity, led by Alison Hill and Natalie Kay, will include a poetry and creative writing workshop (Wednesday 20 May 6-8pm) followed by live readings with projected visuals at the Rose Theatre during the festival week in June (Thursday 25 June 7.30-9.30pm). Participants are also encouraged to book to join a special Streetscape walk with Fabien Cappello on Saturday 16 May 2-4pm. 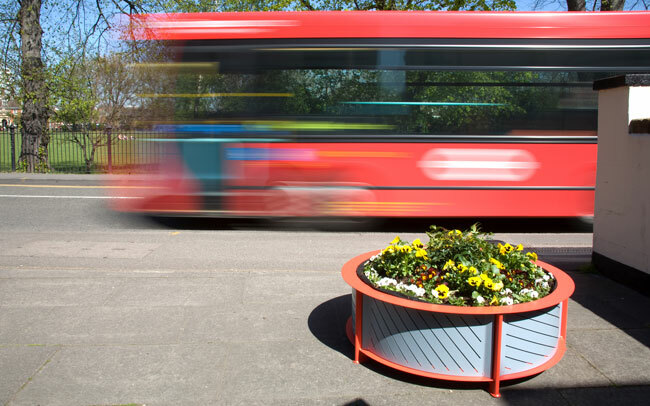 Cappello is inspired by the everyday and how we physically and psychologically negotiate our urban spaces and for his Stanley Picker Fellowship has researched the provenance, uses and contexts of street furniture around Kingston town-centre – from bollards and bike stands to public benches and bins. Navigation of the exhibition, and later the town will in turn form the starting point of the Rhythm & Muse poetic explorations, and complement Festival of Stories theme, The Untold Story. All are welcome to participate, from first-time writers to aspiring poets and professionals. Only your curiosity and willingness to share your ideas are required to join in. All necessary materials and refreshments will be provided, however places are limited, so to avoid disappointment booking is advised via email n.kay@kingston.ac.uk or telephone 020 8417 4074.